Hi all! Simon Says Stamp just released a bunch of holiday stamps, dies, and stencils, and I just couldn’t wait to break them out and play with a few of them (you can see ALL of them HERE)! It was a joy to design some of the new products and I’ve been itching to show them to you ever since I designed them! Anyhow, I wanted to show you how you can use the new Frozen Fractals stencil set with ink blending. 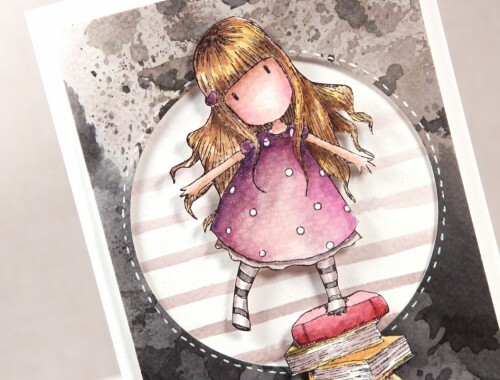 These stencils are incredibly delicate and intricate so when it comes to ink blending they need a different method. The main thing you have to remember when it comes to ink blending over the top of these stencils is to pounce and stamp instead of swipe or use circular motions. The small “arms” of the snowflakes bend and move around if you’re not careful. 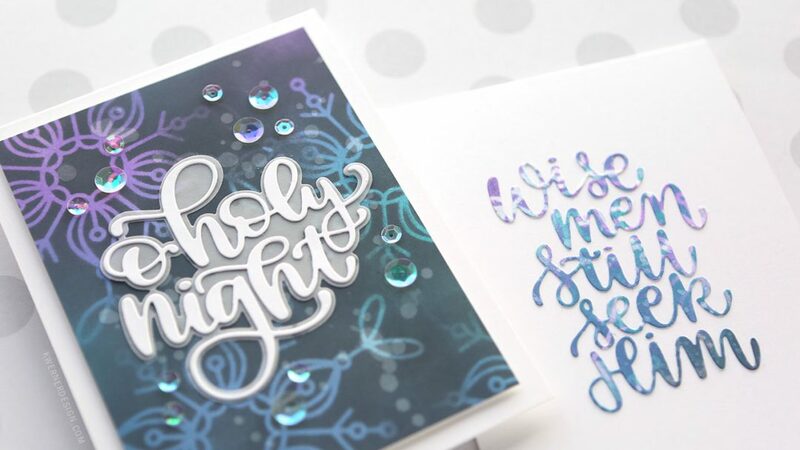 So an up and down stamping motion with a blending tool is the best mode of application. 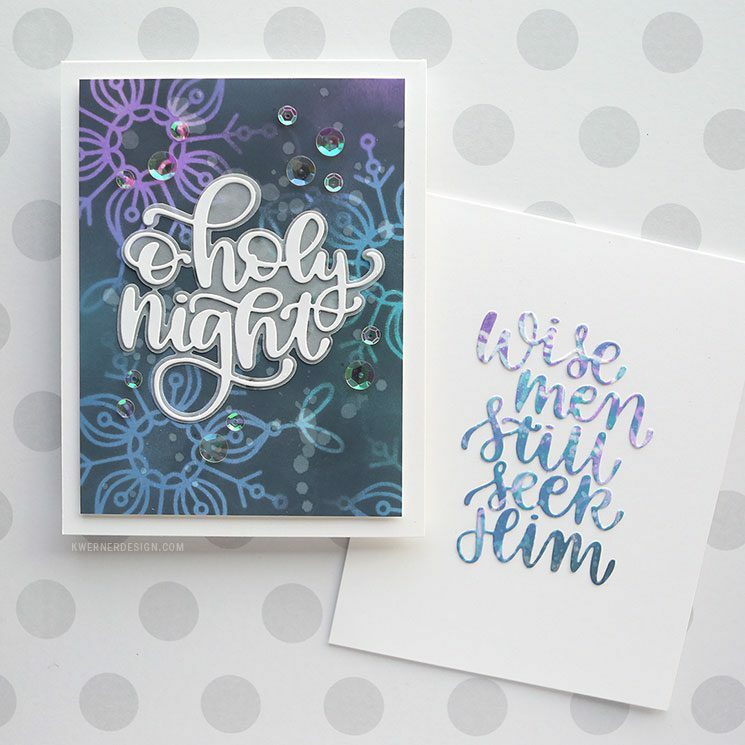 To finish off these cards, I used two new dies: O Holy Night (which has two dies–one is the words and the other is the outline), and Wise Men Still Seek Him. 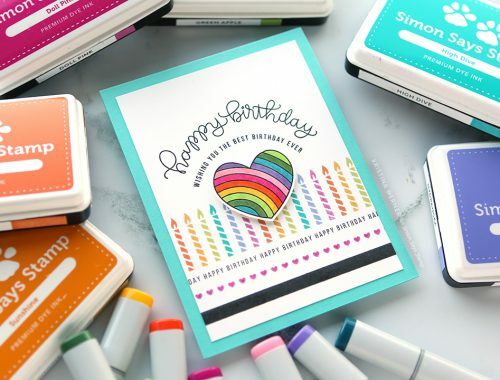 I love using larger sentiments like this on cards because it really gives you a chance to play with techniques and make fun backgrounds. 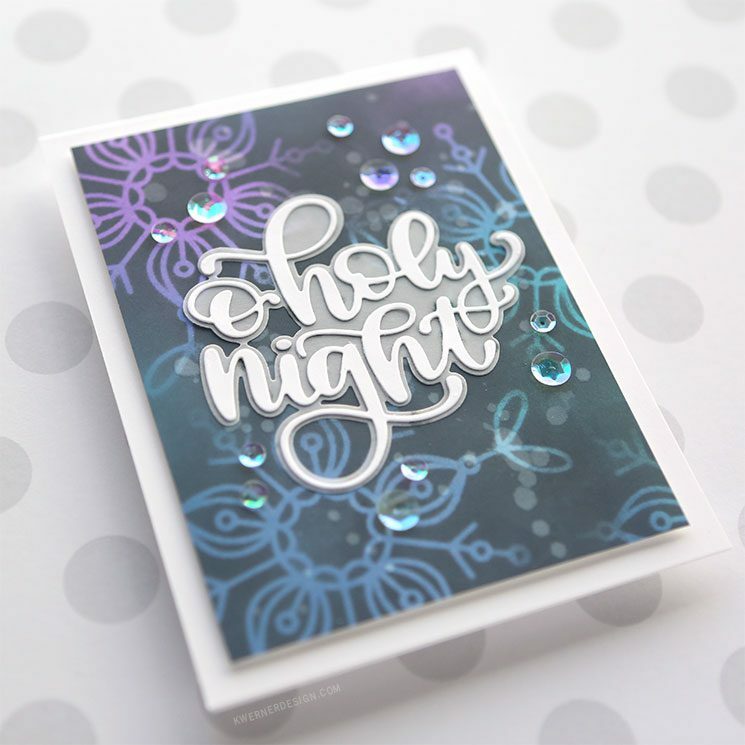 I also used my favorite sequins on one of the cards: Darice Crystal Sequins in 8mm and 5mm.